Coiling and toiling | Optimism and Co.
Coiling is an handbuilding technique that has been used for centuries to build very strong, hardy functional ware. Here I was playing with flattened coils. Basically, I rolled the clay into long ropes and flattened each rope into a ribbon of clay with a rolling pin. I had to be consistent in rolling out the width of each strip so that whenever I joined the coils to build the shape I wanted, I could seamlessly blend the joints. 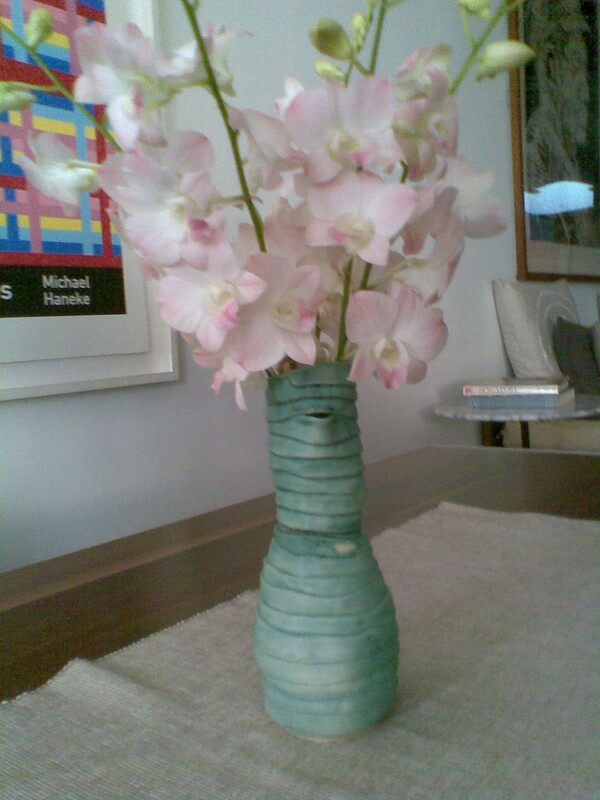 The effect I wanted was to make the vase look like it was coiled from one looong flat ribbon of clay. Do you see the little lip near the neck of the vase? I designed that so that this piece can also be used as a carafe.